Riboflavin, also known as vitamin B2, plays a key role in the activation and conversion of other B vitamins. For instance, it is necessary for activation of vitamin B6, conversion of tryptophan to niacin, and conversion of folate to its various active forms. Riboflavin also plays a crucial role in fat and glucose metabolism, red blood cell synthesis, and the production and regulation of certain hormones. 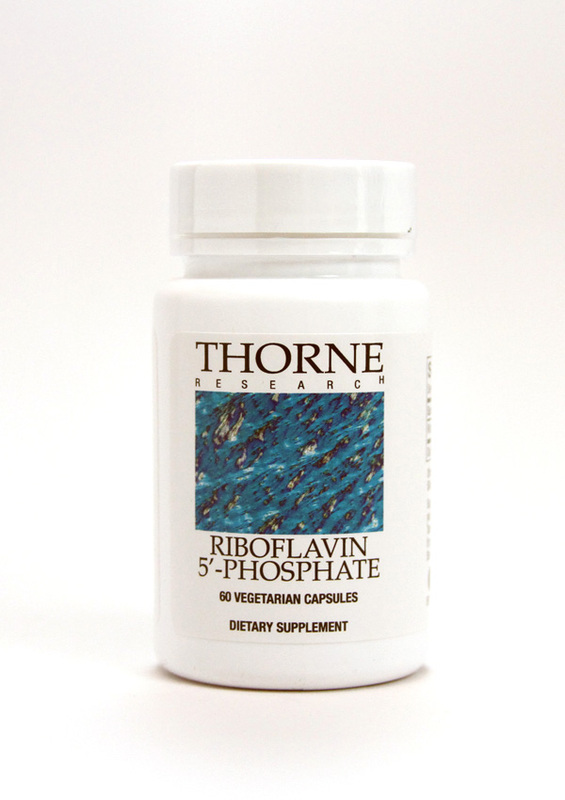 As with many B vitamins, riboflavin must be converted to its active form riboflavin 5'phospate (R5P) in order for it to be utilized by the body. Because absorption of riboflavin occurs in the upper GI tract, a compromised digestive system can adversely affect the body's ability to convert riboflavin to R5P. In addition, certain prescription medications can interfere with the proper absorption of riboflavin and deplete the body of its stores. Riboflavin (as Riboflavin 5'-Phosphate Sodium) 36.5 mg.
Other Ingredients: Aspartic Acid, Hypromellose (derived from cellulose) capsule, Silicon Dioxide.